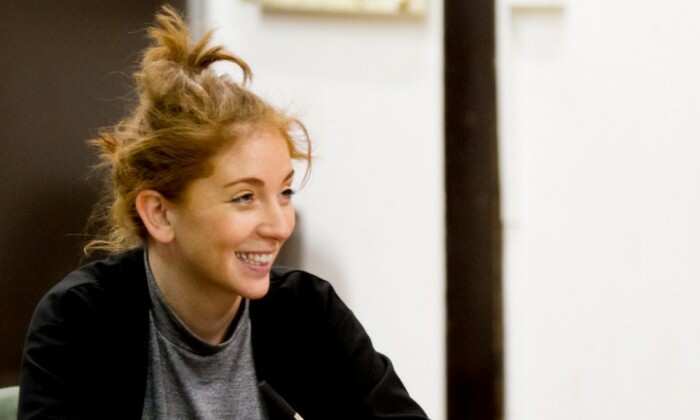 This International Women’s Day, we’ve teamed up with the Young Vic to celebrate the remarkable work of some of its female directors and collaborators, who told us about life as leading creatives on the London theatre scene. In the second of the two-part series, we hear from Natalie Abrahami, former Associate Director of the Young Vic; Ola Ince, Artistic Associate of the Lyric Hammersmith and Theatre Royal Stratford East; and National Youth Theatre Associate, Eva Sampson, currently directing The Tide through Young Vic Taking Part. You can read our interviews with Nadia Latif and Nancy Medina here. Natalie was Artistic Director of the Gate Theatre, Notting Hill from 2007 – 2012. She left Christ’s College, Cambridge with a First in English Literature before joining the Royal Court as a Graduate Trainee and was awarded the James Menzies-Kitchin Trust Award for Young Directors in 2005. Most recently she was Associate Director at the Young Vic 2013 – 2016 and the Genesis Fellow 2013 – 2015. What made you want to become a director? Telling stories through words and images has always fascinated me. I thought I wanted to be a photographer, but while I did some work experience in an advertising company, I saw a director at work on a shoot for a commercial and thought ‘I want that job’. Everyone’s route is different. I didn’t study theatre or drama at University – so I learned from assisting other directors and attending workshops at the Young Vic and National Theatre Studio. One of the goals of this year’s Olivier Awards is to celebrate the people who inspire a love of theatre in others.. Who was this for you? My Mum inspired my love of theatre. She took me to my first show – Starlight Express. I also had a wonderful English Teacher, Chris Chivers. He encouraged me to direct my first production, Oedipus Rex, which I set on the school’s fire escape staircase. What kind of work interests you as a director? I am always drawn to new ways of telling stories, particularly lesser told ones. I like to find a way to release a narrative, and so am always pushing at the boundaries of form and what is possible. What’s been your proudest moment in directing? Last year I worked on a production of Arthur Kopit’s Wings at the Young Vic. We met lots of stroke survivors and speech and language therapists during our journey, and it meant a lot to have feedback from those people when they came to see the show. It was also incredibly moving that so many of audience members, particularly those who had experienced stroke, got in touch to say how the production had helped them understand stroke and its repercussions more. What advice would you give to anybody starting their directing career? Directing can be very lonely sometimes, so create a peer group of directors who you can call on for artistic and emotional support, as you are still a director even when you are not directing. What’s your dream job in the directing world? I love variety, and had the opportunity to make three short films when I was Associate Director at the Young Vic. These really whetted my desire to make a feature film and use the skills I have honed in theatre in a different medium. Nadia’s upcoming productions including Machinal, by Sophie Treadwell, opening at the Almeida Theatre in June 2018; and The Meeting by Charlotte Jones, opening at Chichester Festival Theatre in July 2018. 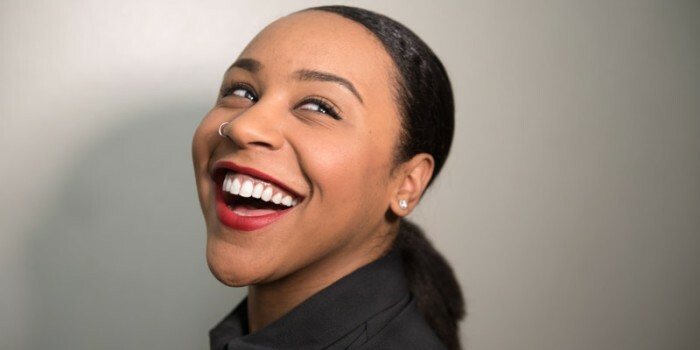 Since graduating in 2010, Ola Ince has worked at a number of prestigious theatres such as Lyric Hammersmith, National Theatre, Regent’s Park Open Air Theatre, Young Vic, Bush Theatre, Finborough Theatre and Bolton Octagon. She is currently winner of the Genesis Future Director Award and Artistic Associate at Lyric Hammersmith and Theatre Royal Stratford East. Why did you want to be a director? I love to tell and share stories. I love going on adventures and exploring unknown territories. I love jumping through time and space. I love critical thinking and solving problems (in another life I would be a detective). I love meeting and working with diverse groups of people. I love spectacles – lights, sound, music, magic etc. I’m passionate about eradicating oppression and injustice, so directing is the most amazing combination of all of the things that excite me! So how did you get into the industry? I discovered directing by chance. One day, aged fifteen in a drama lesson at school, I discovered that I preferred making work as opposed to being in it. Once I realised how amazing directing was I spent the next few years of my life training to become the very best director I could possibly be. I signed up to as many opportunities as I could, such as joining Polka Youth Theatre; applying to become a King’s Head’s Trainee Assistant role; studying at the BRIT School of Performing Arts and Design; and training as a Theatre Director for three years at Rose Bruford College. Once I graduated, I simultaneously directed and assistant directed at a number of prestigious venues where I learnt loads. This year’s Olivier Awards are celebrating our inspirations – so who inspired a love of theatre in you? My parents have been hugely responsible for my love of theatre and the arts. They’ve enveloped me in literature, documentaries, poetry, plays and music. I’m extremely grateful for the rich world they have exposed me to. I’m interested in projects that have a challenging subject matter, and explore power, giving voice to women and ethnic minorities. I suppose my style is making things bolder and being really unapologetic with the themes and issues in a play. Which shows have you been most proud of so far? So far there have been three productions that I have been most proud of: Twilight Los Angeles 1992 (Gate Theatre), Start Swimming (Young Vic and Summerhall Edinburgh), and Dutchman (Young Vic). They were all for entirely different reasons: Twilight Los Angeles 1992, as I was really proud of the way that Jake Hughes (Designer) and I included the audience in the production; Start Swimming, as I managed to represent a diverse London onstage, casting a young talented cast of eleven; and Dutchman, as I felt that I found my voice as an artist and took real risks in order to make a provocative political statement. What advice would you give to any emerging directors? Use every day to figure out who you are and what interests you. Really know what it is about the world that you want to change and that you love too, and keep on going. Make sure that you’re learning something new everyday and that you’re really engaging with the world around you. It’s easy to be an artist that lives in a bubble, make sure your art is part of the world. What’s your dream job as a director? I’d love to have my own theatre/theme park, where I programme work that literally places the audience at the centre of the drama, with plays like Antigone by Sophocles, The Mother by Brecht, and adaptations of novels such as Say You’re One of Them by Uwem Akpan and The Power by Naomi Alderman. Ola is currently Associate Director on Tina – The Tina Turner Musical, which begins previews at Aldwych Theatre on 21 March. 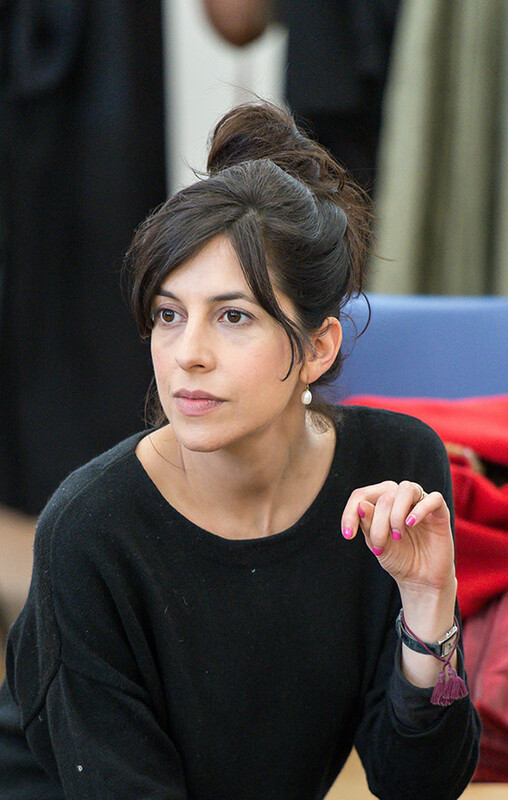 Eva’s recent directing credits include: The Tide (Young Vic), No Man’s Land (National Theatre), and A Peter Rabbit Tale (Singapore Repertory Theatre). Eva is the Co-Founder of How It Ended, a theatre company based in the South East. She is also an Associate Director for National Youth Theatre, Lead Facilitator at the Old Vic and script reader for Watford Palace Theatre. What made you want to go into directing? I think we are all storytellers – everyone loves a good story, it’s just that only some of us turn that love into a job! I remember seeing a lot of theatre and film with my Grandma as a child. I have an early memory of seeing Button Moon onstage and I was convinced that Mr and Mrs Spoon were real. I want to create that same magic for people. It was only at the University of Birmingham, when my friend Teresa Burns (and Co-Founder of our theatre company How It Ended), suggested that I direct a production of Oedipus that I discovered my love for it. What was your route into the industry? After University I trained as an actor at East 15, but it wasn’t long before I took up directing. I started doing a bit of Assistant and Associate Directing for companies such as; Look Left Look Right and Defibrillator. I soon learnt that half of the job is about managing the ‘temperature’ of the room and accepting that you won’t always have the answers. I was then invited onto the National Theatre Studio Director’s Course, which was a great honour and turning point in my career as a young director. Who inspired your passion for theatre? My late uncle Richard Sampson was a dancer and choreographer who worked on many musicals in the West End in the ’80s. Richard is a massive inspiration to me – my love for music and movement comes from him. My other inspiration was my drama teacher and now friend – Mrs Millar (I still can’t bring myself to call her by her first name!). She has always championed the importance of arts in education and fought for her students, including me. I will always be grateful to her. What kind of projects are you interested in as a director? In recent years I have focused on creating innovative and gutsy work through new writing or devised adaptation. My work frequently contains tight choreography, strong rhythmic elements and sharp, dynamic texts. I believe there is no time for safe theatre making and that audiences should be active. I’m a big fan of sport. I have always been fascinated by the link between theatre and sports. How can we get the diverse crowds in and roaring at our shows, like those in football stadiums? What’s been your proudest moment in directing (so far)? My proudest moment in directing so far has to be my most recent show – The Tide by Eno Mfon, a Young Vic Taking Part production in response to Good Chance’s The Jungle. This production was developed in local schools and was performed by young people from across Lambeth and Southwark. It was vital that we make a show that would reflect the lives of the young people on stage. Their hopes, their fears, their voice. These young people asked themselves the question ‘What if…. ?’ What if they had to flee their homeland? Leave Southwark or Lambeth behind because they were in danger, because they had to find a new life, a new family? Those who know me, know that I am my own biggest critic, but I believe we said something important about the current refugee crisis, and it turned out to be pretty special – both in process and product. 1) There is no one path. We’re all on our own journey and success means different things to different people. 2) Don’t be afraid of getting things wrong or not having all the answers. 3) If people are generous enough to give their time and advice, listen to it, but not all of it will apply to you. 4) Be kind. Not just to others, yourself too. 5) The best thing about you is YOU. Not so much a job, but a career. My dream is to continue growing in this industry as a director and person. I’d love the opportunity to work on a larger scale (both in cast size and space) and keep working with those who challenge my perceptions of what theatre can be.